Touted to be a patriotic movie, Robbie Grewal directorial Romeo Akbar Walter stars a unique cast of actors including John Abraham, Mouni Roy and Jackie Shroff. On the other hand, after facing much hurdles under the hand of the Central Board of Film Certification (CBFC), Ashvin Kumar directorial No Fathers in Kashmir will finally see the light of the day this Friday after actress Soni Razdan‘s invincible efforts to get the film across, backed by husband Mahesh Bhatt and daughter Alia Bhatt‘s word of mouth. 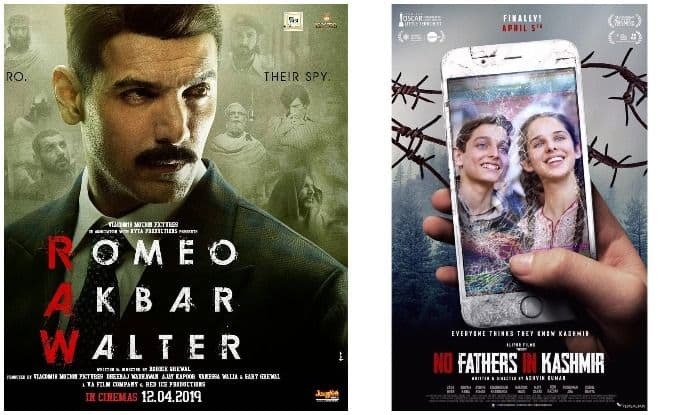 No fathers in Kashmir has a niche audience, given the topic of terrorism that it revolves around but being directed, even if on a small scale, by Oscar-nominated filmmaker Ashvin Kumar is a bonus against John’s tribute to spies. Given that his last two movies, Satyameva Jayate and Parmanu: The Story Of Pokhran, managed to impress fans and critics alike, RAW’s success will add another feather to the patriotic cap that John has held like a natural for quite some time. While Soni Razdan’s film has managed to clock 2.3 million views in two weeks, John starrer RAW managed to garner 29M views in one month.